Born on 15 October 1989, his Birth name is Anthony Oluwafemi Olaseni Joshua. AJ as he is fondly called has the gold medalist as a member of Team Great Britain in the 2012 Olympics games. He is currently a unified world heavyweight champion. Joshua holds three of the four major championships in boxing. Anthony Joshua was born to a Nigerian mother and a British father who had ancestry to Nigeria and Ireland. Young Joshua spent some of his childhood years in Nigeria and schooled at Mayflower School, Ikenne. The unfortunate divorce of his parents made him return back to the UK and attended Kings Langley Secondary school for his secondary education. Anthony Joshua right from his tender age showed how excellent he could be in sports. He broke his school's year nine 100m record with a time of 11.6 seconds, That's Incredible!. Anthony Joshua is actually having a wonderful career after having managed to bring down all his opponents. Of course, he had failures in his amateur stages but he still pushed harder and today had an awesome boxing record for an active boxer. Anthony Joshua net worth is currently estimated at $40 million. Owning luxury cars is no new stuff for damn wealthy people such as Anthony Joshua. He has been making fortunes for himself through his incessant great boxing carer and is still at the peak of it. He is notably one of the richest active boxers at the moment and owning beautiful and expensive rides can't be a harmful thing for such a big star. 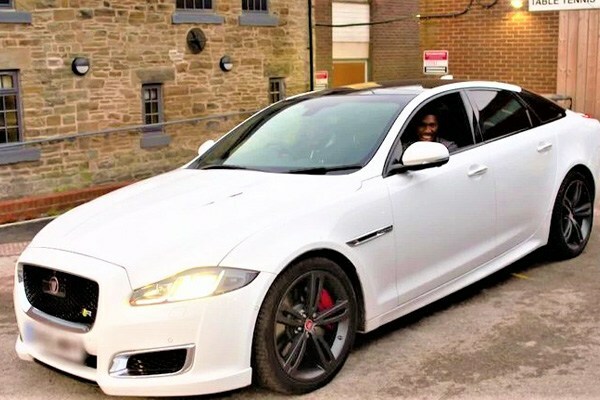 Anthony Joshua in no doubt has strong flair for great rides that suits him and can acquire like other top celebrities around the world do. 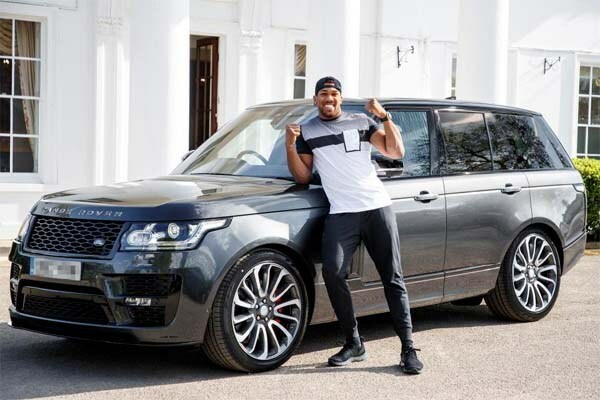 Let's take a look at the Anthony Joshua car collections below. 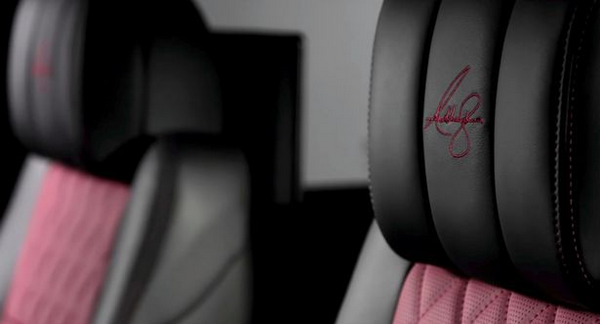 AJ's Range Rover was custom-built for him. Having his name inscribed tread plates, a chrome B-pillar badge with AJ's signature and also an equipment storage customized for all his gears. "When I pull up in a Jag, it's like a watch. Certain watches everyone has but there are certain watches only a few people know about. It used to be that it was a car for the established man, who had been in the game for years and treated himself to a Jag, but now they're crossing right the way across the board. And am lucky enough to have one that they've kept classy but added a few sports touches to". 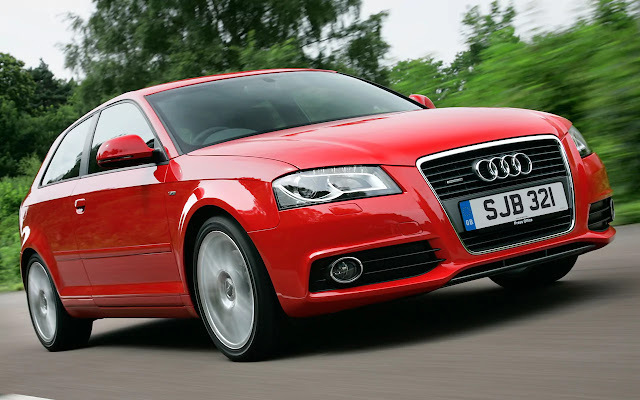 AJ no longer owns this car but always talks about amazing it was and how he missed the Audi A3 S-Line. According to him, the car had a Sat nav which was rare at that time. Height is a much important factor that can't be sidelined. Most boxers have the minimum height of 5.9ft. 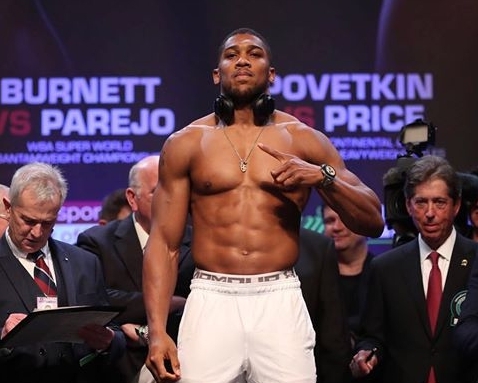 Anthony Joshua's height and physique is a great one for a boxer. The British Nigerian Boxing star has a stunning height of 6ft 6inches (198cm). In 2011, Joshua was England's representative at the 2011 world championships as an amateur in the super-heavyweight division which he won a silver medal in the competition. Anthony Joshua was also a Gold Medalist when he represented Great Britain at the 2012 Olympics. AJ showed off an impressive act in 2017 when he defeated Wladimir Klitschko in the fight that was tagged "Fight of the Year". Anthony Joshua is the second British Boxer after James Regale, to win both a Gold medal at the Olympics and a World title by a major professional sanctioning body as well as being the first British heavyweight to do so. AJ is currently a unified World Heavyweight champion and he holds three of the four major championships in boxing which are; The IBF title, the WBA (super) title and the WBO title. AJ has previously held the IBO title. Anthony Joshua has a total of 22 fights and has won all 22 fights with 21 wins by KO. Anthony Joshua is known for his awesome punching power as he ended all but one of his fights with Knockout (KO). In September 2018, he was ranked as the world's best active heavyweight by the Ring, The Transactional Boxing Rankings Board (TBRB) and BoxRec.